Tempo Music School were delighted to be part of the wonderful ‘Whitechurch Summer Project’ in Dublin 16 where we facilitated 9 music workshops to children aged between 4 and 8. 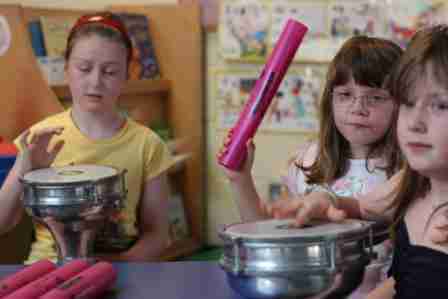 The children became familiar with rhythm and pitch, the orchestra, playing in a group and composing their own rhythms. Our hands on workshops were very successful in awakening a love of music in the local children.